LANSING — Lake Superior has long entranced us – with its fickle, dramatic beauty and threats, with its historic legacies and legends, with its immensity and with the people who live along its shores. Now two new books highlight some of the reasons for our fascination and our awe. 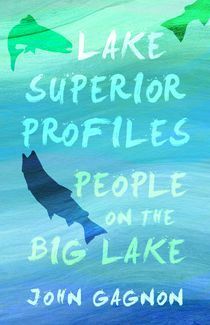 “Lake Superior is not as old as the hills,” author John Gagnon observes in “Lake Superior Profiles: People on the Big Lake” (Wayne State University Press, $24.95). At 9,500 years of age, the lake is a newborn in comparison to the billion-year-old surrounding hills. And the period of human habitation has been even shorter. Gagnon uses stories and photos of residents of Michigan, Wisconsin, Ontario and Minnesota to illuminate the connections among people and the lake’s natural and human histories. For example, there’s the fisheries biologist who studies the sturgeon of the Keweenaw Peninsula, where Gagnon grew up. And there are two biologists in Marquette who do the same with lake trout, or “la truite de lac” if you prefer to reflect the region’s French influence. There’s the captain of the S.S. William Clay Ford, which was anchored in Whitefish Bay with a load of iron ore when the ill-fated Edmund Fitzgerald sank nearby during the deadly gale of Nov. 10, 1975. And there’s the Baraga man who dances in the annual powwow of the Keweenaw Bay Indian Community. There are the former keepers at Rock of Ages lighthouse near Isle Royale and Lower Entry lighthouse at the Portage River. There are the monks of the Society of St. John of the Ukrainian Catholic Church who make jam and baked goods between Eagle Harbor and Eagle River. And there are others, although Gagnon emphasizes that the list of stories he tells is far from exhaustive. Meanwhile, Pictured Rocks National Lakeshore, the Upper Peninsula’s most popular national park, draws about 500,000 recreational visitors a year. 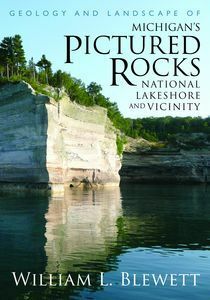 “Here, nearly 500 miles from the nearest ocean, lies a lonely, 40-mile swatch of jagged coastline to rival any New England travel brochure,” writes William Blewett, the author of “Geology and Landscape of Michigan’s Pictured Rocks National Lakeshore and Vicinity” (Wayne State University Press, $22.95). The park stretches between Grand Marais and Munising, encompassing sand dunes, cliffs and rock formations. The glacial debris known as Grand Sable Banks, on which the dunes sit, offers “a surreal desert vision set against the endless horizon of the world’s largest freshwater sea,” writes Blewett, a Northern Michigan University alumnus. His heavily illustrated book recaps the park’s human history but focuses on the Ice Age, erosion, weathering and other geological forces that gave it such well-known features as Chapel Rock, Grand Sable Dunes, Munising Falls and Miners Castle. LANSING — By the age of 5, the average child will have watched as many hours of television as the classroom time it takes to earn a college degree. “In essence, a 5-year-old has the equivalent of a college degree in television watching,” said Tom Occhipinti, the environmental education coordinator for the Department of Environmental Quality.